As a Family owned business we pride ourselves on the relationships we build with our own teams and also with our customers. We ensure that all our customers have a customer service contact (a champion within our business) who will be your contact and ensure that any issues are resolved on a timely basis. The contact will be allocated to you dependent on the specific nature of your enquiry. Our high standard of customer service begins from the minute we receive your call. 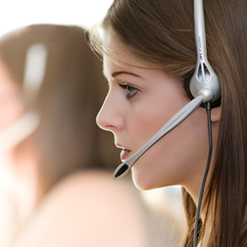 Whether it is a sales enquiry, information request or dispute, we will take responsibility for your call immediately and ensure that it is owned by the correct company representative. "Our aim is to not only to meet your expectations but exceed them..."
Providing excellent levels of customer care is second nature to PC Howard Ltd.
Our policy on customer services filters down throughout the business - from Managing Director to Administrator our policy is designed specifically to ensure that your needs are catered for in the promptest fashion. And this service is backed up by high quality systems to ensure that your experience of working with PC Howard Limited is a happy one.